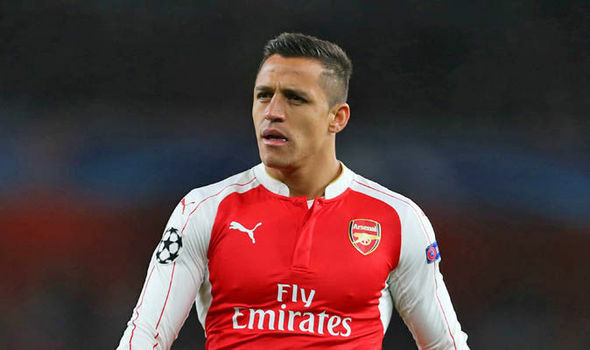 The latest rumours emanating from the web suggests Arsene Wenger has one less team to worry about among the mercenary-seeking group of top clubs, with French Ligue 1 outfit Paris Saint German said to have ended their season long pursuit of Arsenal want-away Alexis Sanchez. Obviously one of the many ripple effects to follow the world record signing of Neymar, the Parisians have expectedly let go of a couple of targets once the Brazilian agreed to put pen to paper. Sanchez, Mbappe and few others were the top transfer targets marked by Les Bleus et Rogues but nailing down someone like Neymar, their top priority was always going to mean they would let go of plan Bs and even Cs. Manchester City however remain keen on doing a Samir Nasri on the Gunners once more despite Sanchez having one more year till he becomes a free agent. Arsenal are believed to be in favour of letting the Chilean’s contract run its course but it’s believed that the Citizens want to avoid doing a deal at the last minute, and want to cut to the chase. If Sanchez stays, it seems Wenger would have restored some of the Gunners battered image when it comes to their inability to hold on to their top players. Even Bayern Munich who were at one time big admirers have been said to be put off by the Chilean’s wage demands meaning between now and the close of the transfer window, Wenger has to focus his repulsive forces towards the blue side of Manchester. Fans now have a bigger chance than ever before to back their instincts in the transfer market – betting on sports today is fast, simple and secure, and with specialist markets specifically in where the likes of Alexis Sanchez will end up come the end of the Transfer Window. Meanwhile, Arsene Wenger readily admits that it will be tougher for the club to win the Premier League this season, or even to get into the top 4 Champions League spots, with or without Sanchez. Without the distraction of the Champions League – even though there is the Europa League – and with the team retaining its best players this term, there is the hope that the experienced coach would lead the team to glory. However, the Frenchman has cautioned such high hopes, pointing to the increased competition. On which team could lift the title, Wenger said: “The four who finished in front of us. And if you include us and Manchester United – and there could be a surprise like Leicester – there are teams like Everton – you can have seven. Wenger complained that competitors like Manchester City, Manchester United and even Chelsea have spent so much on getting top players. The manager is comfortable with what Arsenal have done in the transfer market and even hinted that he would cut down the squad from the current “high number” of 33 players. Olivier Giroud, Danny Welbeck, Theo Walcott, Mesut Ozil, and Alex Oxlade-Chamberlain were all linked with other clubs at various points, but all seem set to stay. Wenger says a ‘united’ Arsenal team can lift the title following their Community Shield victory over league defending champs Chelsea. Giroud scored the winning kick as the Gunners lifted the title, raising the hopes for the season. Wenger just wants the team to do the work required and hope for the best. This set of Arsenal team need the title to cement a change in the fate of the club regarding titles. The team has lifted three FA Cup titles in the last four years but they have continually failed in the league competition and the Champions League. The last team – of four since Wenger took over – was the most woeful as they failed to win any title. Bit by bit the talented team that had Cesc Fabregas, Andrei Arshavin, Robin van Perise, Aleksandr Hleb etc was stripped bare until the current crop was built. Hopefully they can land the Premier League this time.